Pauli Torikka says, that he wanted to be sure that the invested money and time would pay back. 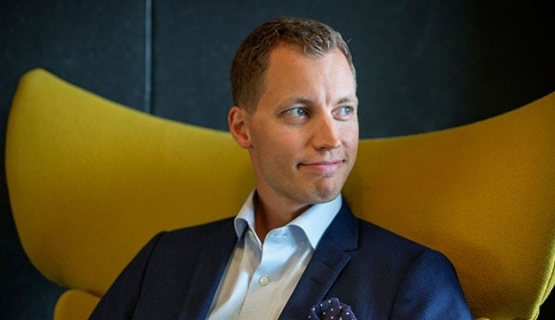 Aalto EMBA participant Pauli Torikka, Director, Pulp Raw Materials, UPM, Finland: "The themes and structure of the modules on the Aalto EMBA program seemed interesting, and have proven to be so in practice." Pauli Torikka is responsible for pulp raw materials at UPM pulp business. Both his own role and the field in general are changing rapidly. Before joining the Aalto EMBA program, Torikka felt he wanted to gain new tools in strategic thinking, leadership, and finance. In addition to Finland, Torikka has worked in Germany and Uruguay. “The international aspect was a key factor in choosing the right study place”, Torikka says. Torikka is now nearing the end of his studies. Combining family life, work, and studying has been hectic and rewarding at the same time. Similarly to many other Aalto EMBA participants, Torikka mentions personal growth and developing personal skills alongside gaining new technical knowledge. The studies included carrying out a business project as group work. In Torikka’s view, the Aalto Executive Summit has especially highlighted the significance of work culture, which was mentioned in some way or another in nearly all of the lectures.